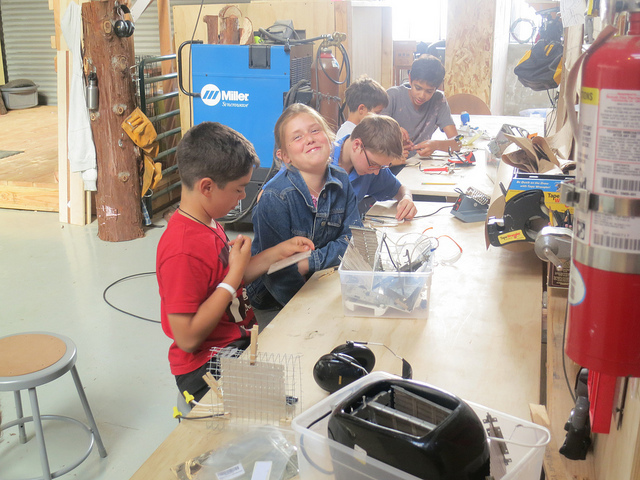 Last week we learned the basics of circuits and built functioning heating elements. At the last minute of class before clean-up time, we held a piece of bread above on of teh elements, and watched it become toast. But holding bread while it toasts is tedious, and a little dangerous. 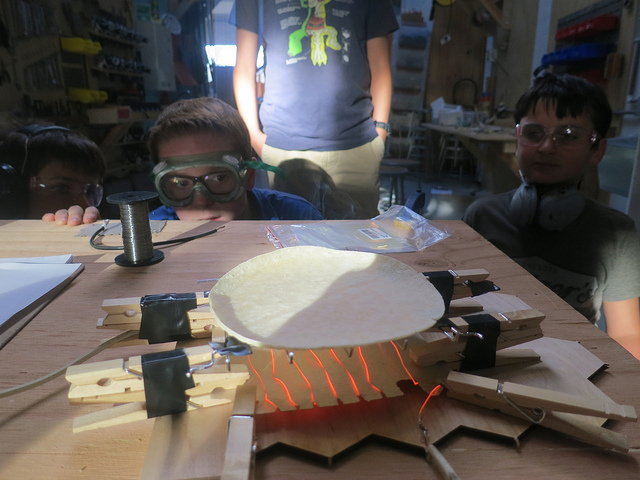 So, this week we challenged ourselves to build hands-free toasters. I.e., toasters that hold the bread for you! "I think my base is about to catch fire..." Parker notices a design flaw.